We are finally happy to announce that the final production payment for the Spitfire Correction has been made and we expect to begin shipping the Spitfire Correction in January. The delay was caused due to a clerical error by one of our suppliers and due to the shutdown we experienced, we were unable to clear the bill until today. Thank you to everyone who has been incredibly patient and understanding. Once ship the Spitfire correction, our next silver coin we will place into production will be the Century Coin. We have raised enough to proceed with the basic production of our first gold coin. With the deposit of our first sale, we will dedicate the entire amount to fund the first coin and given the importance of the Golden Arrow, the shortfall will be made up by Beaverworks until more are sold. We raised just enough to cover the basic expenses of production. It is our hope that with the photos we will produce with the Golden Arrow, we will be able to sell more. Once the dies are produced, the production turn around time will be substantially reduced. Due to the extreme costs associated with fabricating the Golden Arrows, these will be produced on per-order basis. As a small operation, we are moving as quickly as possible to come up to speed and we are advancing one step at a time. Stay tuned and stay inspired. We hope you all had a wonderful Christmas and we wish you all the best for 2019. Now that we have resumed work with the resigning of our agreement, we have updated the design and name of the previously titled “Canada 150 Coin” and it is now the Century Coin. This way, it encapsulates the embodiment of century of the RCAF. As we continue to press forward, this will be a pleasure to finally produce and finally release. Stay tuned. I can’t believe its been an entire year since I made an entry to this particular section. I can honestly say this past year and more specifically the last 7 months have been one of the most challenging periods of my career and life, however now that we have our permissions renewed from the RCAF Association, we are thundering up again and unfreezing everything and pushing forward with the development of our Gold Coin. Hopefully people will support this dream and be interested in purchasing the finest work we aim on creating. Many lessons have been learned through this journey and it is my hope that once we are able to increase our cash flow through the sale of our gold issue with the Golden Arrows, we can directly translate into immense progress forward in expanding our coin collection. I am going through the process of going through every part of the website now and updating the content and appearance. So please check back occasionally for more updates. Hi everyone. I wanted to provide you all an update as to the progress of our work. As a small business, we face, like many of you all, challenges. This past year has been one fraught with ups and downs, production delays and cost overruns. Given the fact that we are not financially backed by anyone with the sole exception of our wonderful collectors who have been so exceedingly patient and the leader of Beaverworks, Joseph Green, this year has been one of a major hurdle, especially within these markets. When sales do not meet expectations, the shortfall must be made up as a way to ensure we keep production rolling along. These shortfalls are made up by me personally. As a result, the production delays are due to having to cover a variety of fees associated with production which are inherently expensive. And so, I just wanted to say thank you to all for your wonderful patience. As a committed Canadian, patriot, designer and artist, this work is hard, very hard, but, very worth it. I’m not going anywhere, I’m just going to keep chiselling away at the rock barriers until our David emerges. You know, one thing I love about this project and I’ll be honest, aside from the sheer costs, delays, frustrations, apologies and more which I accept and own, for me, the reward at this point is being able to individually unpeel each coin, place it into its package, sign and seal the certificate, but most importantly, imagine where that coin goes, who it gets presented to and why, the history of the future of those coins, who they will be handed down to, when and why and essentially, the family history associated with that micro event. Producing the worlds finest coins, for a highly impatient person like me, being forced to sit on my hands for months…just waiting…and waiting…….AND WAITING………and waiting……..AND…..waiting…..still waiting…..lol…..its been an exercise in learning to love patience. When they finally do arrive, and being the only person in the world, at that specific point, looking at the entire finished ensemble, is so worth it, it utterly transcends any sort of profit issue….for it is the droplet of my soul fused with the spirit of the legacy of the Royal Canadian Air Force and THAT my friends, as it now has the potential to last over 1000 years and has an internationally recognised unit of precious metal, that intrinsic lovely value means everything to me. They are like tiny footsteps in the legacy of my body of work, traversing this wonderful world, experiencing the love shared by all of you lovely collectors and when presented to its recipients, met with oooohhs and ahhhhhs and I hope a loving hug and an ear to ear smile. That makes it all worth it. I am most grateful to the Royal Canadian Air Force Association for granting me this permission to reproduce the protecting markings of the RCAF and allowing me this prestigious opportunity to produce the worlds finest coins dedicated to its rich legacy. Its important that we as Canadians keep our traditions alive and honoured, as it is our identity as a nation. As the world gets smaller, now more than ever, we need to shore up our beloved traditions and support for the RCAF, but the entire Canadian Armed Forces as a whole. As some of you may know, I am dear friends with Canadian Veterans who are leading the class action law suit for the restoration of lifelong pensions for wounded soldiers. I have donated a number of coins and works to this effort, as a small business, every donation made is sales out of our coffers, however, how can I not donate? As the caretaker of these symbols, I am obliged to do what I can, when I can and how I can, to help out those who serve, served with distinction, integrity, dignity and profound honour. I like to think, I’ve done what I can to “punch above our weight” through these donations and I hope you are all proud of how I have conducted myself in this regard. It is important for me to know that you are proud of this, proud to support this and understand the ups and downs associated with this. In the new year, I am expecting a small inheritance from my Great Auntie Mae. Like all Great Aunts, I miss her, her serving coffee and “Dainties”, the great political discussions we’ve had and more. She passed away after reaching her 100th Birthday. She was the last matriarch of our family and she left me a small amount which I will use as a cash infusion into my small business. I was planning to finally be able to put a down payment on my first condo, however this is more important to me. I need to be able to keep my word of honour to you all and I hope, re-ignite momentum. I’ve been working tirelessly on my day job as a 3d designer for a variety of clients, along with renovating the main studio of Beaverworks. These are very long days, long projects, leaving very little time to work on this project and with the funds I raise, I’ve been doing everything possible to reinvest everything into this. I originally was told the inheritance was going to arrive 6 months ago by a lawyer, which it didn’t, which in turn set off a chain of events which because of the delay, put an air bubble into the blood stream so to speak, which left me having to scramble to deal with this financial embolism. Not to mention, a host of other unexpected costs and delays, really left me feeling incredibly discouraged. You rely on others to keep their word, you act on it, then are left having to make up for their mistakes, and as a result, down the chain, others are affected which frustrate me as it affects my reputation. Anyway, my point is, come hell or high water, everything is getting produced and as a now ridiculously patient person, committed and dedicated, I don’t care about money, I care that I am able to pull David from the stone. Then once I am free and clear of any and all obligations, there is nothing outstanding, then I can resume work on selecting the next coin in the series….then take it one day at a time. If you are reading this, I would like to simply say thank you for taking the time to read this, I thank you for understanding and most of all, I thank you for your support. When this started, I hoped for the 250 Club of collectors, we are now down to 7.The 250 Club was enough confirmed collectors which would enable me to continually produce these. Given how we are down to 7, well…I suppose time will tell. Never the less, we press on and do so with a smile. We love our collectors, they only want the best of the best and that’s us. We may be slow, but like the Turtle…we will always cross the finish line. So, stay tuned my friends. With everyone who has been patiently waiting on a Spitfire, I will ensure you are compensated in some form. I just wanted to give you all an update. We have been absolutely overwhelmed with the volume of support by so many wonderful people who support this effort and for that, we would like to express our most profound thanks. It really means the world to us to know such wonderful Canadians support this new and exciting effort. We would like to take this opportunity to wish all Canadians our very best in the celebration of Canada’s 150th Birthday! YAY! This latest chapter of our ongoing expansion has been a challenge to say the least. 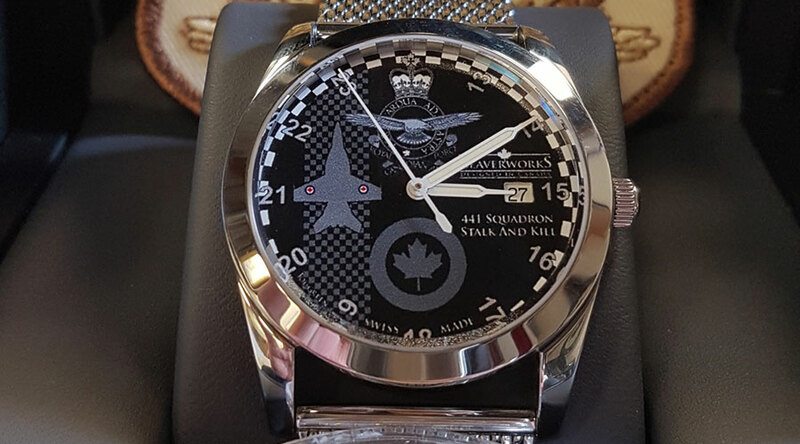 We are moving forward in expanding our coin catalog, enhancing our premium packaging and working towards adding our high end Swiss Made RCAF Watches to our product line. We are working towards, albeit much slower than I ever personally anticipated, the completion of the Spitfire Correction, adding more Arrow’s to our inventory and working towards pushing our Canada 150 coin into reality as fast as we possibly can. We truly appreciate everyone’s patience and immense support with our group. It has been a very challenging period for us, very exhausting actually, but very rewarding. When you hold the final product in your hands, it is our hope that you can take pride knowing that we have thrown literally every possible thing into our work to ensure it personifies excellence. We need everyone’s help to help promote and increase our brand awareness. As primarily a one man operation, exhaustion is an ever present companion and the more we can spread the word of our work, the better. We may be small, but we got heart, Canadian heart, right where it counts. Over time as we continue to grow, I hope that these growing pains subside and we can thrive. As Chief Designer, I routinely find myself working over 20 hours a day at a stretch, doing everything possible to either keep these operations going, augmenting financial requirements by securing other design work and more. Slowly, it is all coming together. If there are any air museums, organizations or stores that are interested in carrying Beaverworks Coins, please contact us as we would love to hear from you. Now to finish updating the catalog pages with better images and finish up freshening up this website the way it deserves. In closing, take Canada Day to celebrate being with friends and loved ones, raise a toast to Canada, the best place on earth to live! The Lancaster and Hornet coins are nearly completed. Without a doubt, this has been one of the most taxing stages, fraught with delays and a host of other elements, but, they are nearly finished and ready to ship to exceedingly patient collectors. As a small operation, we strive to meet not only the world class standards we set out to establish in quality, but also in customer service. Our collectors have been nothing short of absolutely outstanding and for their patience, we would like to extend our deepest thanks to you all for your understanding and support. We will be making some website updates over the coming days to freshen up our site and continue to fine tune how customer use our site. We are truly trying our best to punch above our weight and deliver the absolute best we possibly can, for what we can. Please stay tuned for the release of our next coin in our series: our Canada 150 coin. The Silver Dart, Supermarine Spitfire and Hawker Hurricane have now entered into the phase of select gold plating, then onto full colour printing and serialized edge markings. The Lancaster Bomber is having micro adjustments made to the sculpted mold and then will proceed into the machining of the die. The Hornet is nearing completion and will soon enter into the phase of machining. We have been pushing as hard as possible to advance our vision and slowly our work is coming into reality and there are no words to express our pride in our work. We will ship the next batch of coins as they arrive to our amazing supporters which we hope will be within the next month. As time goes on and we can build out our capability and our inventory, we hope to avoid lengthy production delays but we hope that these images of our next batch serve to inspire you all. This is without a doubt, a major labour of love and massive undertaking to get to this point, but we love this work and we hope all Canadians will too. We have now entered into the final, long stretch for this latest phase of production of our next 5 coins in our series. Over the last 2 months, this has been arguably one of the most turbulent, chaotic and persistently overwhelming period because of we moved our operations into our new offices and it is only now that we are able to update our site with the news. Recently our President attended the National Convention of the Royal Canadian Legion and was the recipient of the most amazing spirit of Newfound and Labrador imaginable. On the flight over, our President and Chief Designer was up for 40 hours by the time he landed in St. Johns and while he was attending the convention, he ended up leaving all of the coins in a cab due to extreme exhaustion. Social Media exploded and it felt like the entire east coast was all looking for these coins. When the coins were returned, our President presented the cab driver an Arrow coin with Premium Packaging as thanks. When our President said that “If we were in any other city, those coins would be gone.”, Ivan the cab driver simply cocked his head and said “This is Newfoundland!”. The last 2 coins are being heavily evaluated before being sent to the machine shop to cut the dies. We expect the final 2, the Lancaster and Hornet to be completed within a week. We have placed our order and now, we just have to wait for our production partner to produce our order. We ordered the minimum order amount of 100 per design for this next batch, along with 100 more Arrows for replacement. for the next shipment. It has been a very long and detailed process, but we look forward to keep moving forward and advancing the dream. We will not sacrifice our standards of perfection that are measured in microns at these critical steps. As time goes on and our inventory builds up, we will be able to have faster turn around times, but until then, as President, I would like to extend my personal thanks for everyone’s understanding and patience. As a small business operator, my reputation is vital to ensure that customers feel comfortable with our work. We aim to produce the worlds finest coins without exception. In response to the rise in price of Silver on the international markets, we have had to make a small price increase to compensate this rise. We hope everyone can understand. We only have a few Arrow coins left and once they are gone, we will have to wait until our inventory is replenished before shipping so, get your Avro Arrow coin order in today! If you have any questions, concerns or comments, please do not hesitate to contact us. We will do our best to make you feel happy and comfortable with our work. We are also working on translating our page to French. I apologize for that. As the small business operator, we only have so many hours in the day and its been an absolutely ridiculous last month for being persistently overloaded. I look forward to finally taking possession of the next batch and meticulously inspecting each order before shipping. I’ve thrown everything I got into this venture because I believe in it, its vision, but even more so, I want to be able to produce something that would be a legacy piece. Something that you can hold, feel its weight of history but also just enjoy the sheer beauty of all the work. 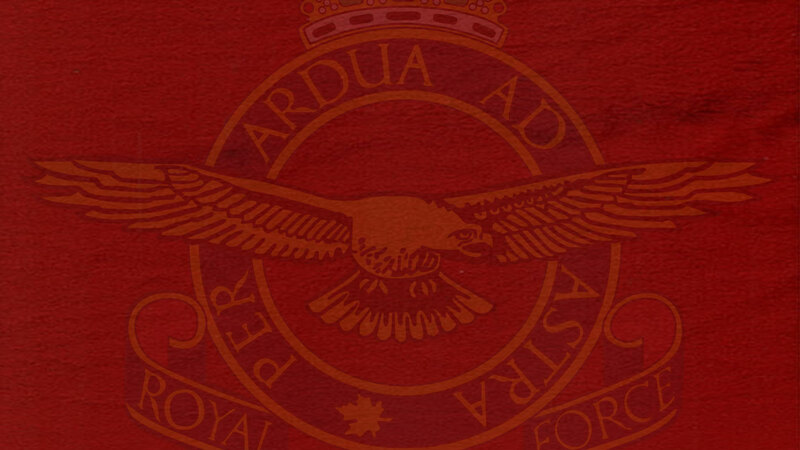 We want to honour Canada and the history and legacy of the Royal Canadian Air Force and slowly, its all coming together. We have been preparing to attend the Royal Canadian Legion National Convention this month where we will be showing off our work, vision and hopefully establish some amazing relationships with a variety of Legions branches across Canada. As President, I have a word of honour agreement with Vicki Torrie (Super Gran) that any orders she takes or gets processed through the Legion, we will allocate a 5% royalty to the Edmonton Kingsway Legion Branch #175 for the specific intentions of paying down the principal on the mortgage to ensure that the building and community is around for many years to come. The Silver Dart and Spitfire have been approved and are in production. The Hawker Hurricane, AVRO Lancaster and Hornet are in development in the sculpting phase. Meticulous work down to the micron is something I know our senior sculptor William Woodruff enjoys and I’ve been explicit in my instructions “It takes however long it takes to get it perfect”. Slowly its coming and as time goes on and we dial everything in, our production turn around time will gradually get faster. We are in the process of moving into a new facility this month and with that comes the stress of tearing everything down, moving and setting everything back up again. However it will be an amazing space and we look forward to expanding our capability. Stay tuned for updates. After this phase of 5 coins is completed, we are going to focus on making one at a time. Thank you to everyone who has supported us and this vision. It is a labour of love and we are doing everything possible to honour the history and legacy of the Royal Canadian Air Force. We have taken possession of our latest batch of Avro Arrow coins. We have processed each order and will be shipping all Arrow coins orders out on Monday. We wanted to thank everyone who has been exceedingly patient with our efforts. This is an incredibly time consuming process and we hope that the quality shows in our work. As it is right now, we have 52 Arrows in our inventory that we can ship out for customers immediately and as time goes on, we aim to build in a rolling inventory reserve to prevent such lengthy turn around times. Given how small we are, we are diligently working towards building and nurturing our business, our reputation and really try hard to set the high mark on quality in all areas. The Silver Dart is in the cue for production, the Spitfire is nearing completion of the sculpting phase and will be completed any day now. It must be perfect and we trust our senior sculptor to take whatever time is required to make them perfect. Without a doubt, we are still dialing in our systems and because of the very nature of this and what turn around time frames we have, we are going as fast as the system allows. Just know, we are pushing as hard as humanly possible. Next month we look forward to attending the National Convention of the Royal Canadian Legion and presenting our coins and informing them that we are partnering with the Edmonton Kingsway Legion as a means to help as a fund raiser. We sincerely admire, believe, respect and adore the Legion and recognize how important it is to Canadian culture and with each sale made by Legion members, we are allocating %5 of the net sales to paying down the mortgage principle. Hopefully we can contribute to ensuring the Legion is around for many years to come. Below is a picture of the super amazing Vicki Torrie. She has been beyond super amazing in helping to advance our project and there are no words to express just how much love this woman gives off and how much we love this woman!!! She has been working tirelessly to help advance orders and help the Kingsway Branch. This entire vision of minting coins to honour the legacy of the Royal Canadian Air Force is without a doubt, a massive undertaking. As President, I regard each product that we ship as a personal signature piece and it has to be as perfect as possible. I take immense pride in these coins as they anchor into history our legacy. I can’t let anything but perfection out the door, especially anything with my personal signature and seal on it. I am immensely honoured to have have the support of Vicki Torrie and the Edmonton Kingsway Legion. She has been there in so many ways to help this dream advance, she’s the superwoman whose been there for this project and me personally. Slowly but surely we are making real progress and I just hope I can make her and all Canadians proud. She leads a group called Support Our Veterans and we are doing everything we can to help her with her projects and fundraising. There are no words to express how humbled I am personally to have her and her husband support me, this and our vision. She’s the gentle and loving hand that is always encouraging. As time goes on, I hope to have the financial depth so build out our inventory so lovely people don’t have to wait as long as they are. I’m the kind of person that believes in driving hard and if possible have a turn around time of less than 24 hours and I know that all I have is the reputation that we build. I’m just very grateful for the opportunity to build this, help the Royal Canadian Air Force Association and the Edmonton Kingsway legion. If you or anyone has any questions, please don’t hesitate to contact me. We are happy to unveil our updated site with our next 5 coins. It has been nothing short of an exhaustive process to get to this point. We are beyond happy to reach this point and now begin to take pre-orders on these next coins and the Arrow coin. As a small business, unfortunately we don’t have the luxury of having the financial depth at this point to accumulate inventory to provide an immediate turn around for our collectors. We know that producing world class work takes time and we hope to establish ourselves as a credible, high performance design and production group that delivers world class products to our collectors. This is a venture personally financed by our President Joseph Green and he has established himself through working tireless 70 hours a week since early March to establish the Beaverworks Mint and its reputation as credible and honourable. If this vision is going to bloom then we will simply need customers who are patient, understanding but are willing to wait for world class work. Over time as we generate more sales, then we will be able to build up our own inventory so people don’t have to wait so long and eventually bring in all that production expertise in house. Right now we are partnering with a world class group but, they are also overwhelmed with work and so production delays are simply out of our direct control. However, what we can control is the direct quality of the design in the coin, overall scope, packaging design and customer service. We like people, we like honouring Canada and the history of the Royal Canadian Air Force, meeting new and truly wonderful people and hearing all of their wonderful stories. We hope that with the launch of this next chapter, all of our collectors see the merit in our vision and quality of work and will continue to support us. If we can’t raise the money we need, then the orders will be refunded. We need a base minimum of at least 125 orders to meet our production costs per coin and we hope we can get much more than that. We have decided to honour those who have purchased a coin with us by creating The 250 Club. We have allocated their serial numbers that they have purchased in perpetuity provided that they continue to pre-order our coins when we make them available. That way they can build a magnificent collection of our work with identical serial numbers. You all have no idea just what sort of brain bleeding levels of stress it is to ensure this happens, but we are willing to embrace that if it means helping to establish this opportunity for our lovely collectors. Over the coming months, we will work to refine the 3D models used on the coins, the texture maps and depending if we can get the amounts required, we will proceed into production and begin to sculpt our coins. We have working with us a retired master senior sculptor from the Royal Canadian Mint and so he brings world class artisan expertise to this area and to have someone of his caliber working with us is nothing short of a profound honour. If we are successful in this next step, then we will begin to head into production of a magnificent leather bound book for our collectors to house their coins that have a semi-detailed historical account of each coin featured. For those in the 250 Club, if they choose to purchase the book, we will serialize their books to match their serial numbers in gold leaf on a leather spine. By the time we are done, we want this to set the high mark of artistic excellence in this area by orders magnitude ahead of our competitors. So we hope you all enjoy the new coins and we hope you will all come along in this new and exciting chapter in the expansion of The Beaverworks Mint. Our coins have been shipped to us and should arrive today. Once they arrive, we will conduct a photoshoot and immediately begin to process, package and ship each order. We would like to thank everyone for their outstanding patience with this coin. It has been a long time in coming and we look forward to receiving feedback from everyone. We have poured our hearts and soul into this particular coin dedicated to the AVRO Arrow and we hope that we have added to her legacy in the finest means possible. We hope we did her justice. We are about to open up and take pre-orders on the next batch of coins. That pre-order window will remain open until December 30th. Once closed, we will begin the production process and customers can expect to have their coin delivered in time for Fathers Day in 2016. We know the turn around times are lengthy, but rest assured we are doing everything possible to increase the turn around times while at the same time ensuring perfection in our work. Once these coins ship, we will begin to take pre-orders on the next 5 coins to help expand our collection. When we open up the pre-ordering for our third production slot from January 2nd to March 1, during this phase we will begin to take pre-orders on our first 1 Troy Oz. .9999 Fine Gold with select platinum plate coin dedicated to the Avro Arrow. That production run will be limited to 500 in total and anyone interested must pre-qualify by purchasing our silver AVRO Arrow coin. Without a doubt, this day has been a long time in coming. Today is the culmination of a dream come true and we will work as fast as possible to get these coins out as fast as possible. We hope you all love the work. The first batch of coins have now entered into the plating stage and when that is done, it will proceed into colour printing and edge marking. This process has been incredibly slow and we have made arrangements to ensure production delays will not happen again. We look forward to taking possession of this first batch and shipping them to our patient customers. It has been a long process but we are excited about what the future holds for expanding our product line and optimize production for quick turn around times. We have suspended advertising until we take possession and ship as measure to be prudent. This delay has affected our timeline we wished to adhere to and so rather than promoting our product, we will wait until all the coins have shipped and our customers are happy. We are also happy to announce that the magazine Canadian Aviator will be running a story about our coins in January 2016’s issue. We hope we have done this country proud and we look forward to the issue and expanding our catalog line in a methodical, responsible and procedural manner. Cheers. The samples arrived, were approved and are now in production. We have ordered a small surplus for future customers to get ahead of the production turn around time. We are very, VERY pleased with the quality of the coins and its hard to believe that they exist and we can hold them. The quality is breath taking and we are so incredibly happy to have added to the legacy of the AVRO Arrow. We are expecting to take possession of the full batch by the end of September and once we do, then we will immediately process each shipment and get them out the door without delay and with the first 100 customers, we will ensure a small piece of metal from the AVRO Arrow program is shipped with them. We arranged for a photoshoot with an amazing supporter of ours and you can view the results of the shoot by clicking the image below. We have done everything possible to ensure the highest quality and standards have been met and we look forward to once customers receive their coins, we will begin taking orders on the next designs. So far the feedback has been very, very inspiring and very positive and we hope that when our gracious customers take possession, they will see the immense work that has gone into these and will help us to spread the word about this dream of ours. We are pleased and super excited to announce that we have taken the steps to re-brand our corporate website as the Beaverworks Mint. It is our goal to eventually expand over time to not only honour the Royal Canadian Air Force, but other branches of service. We thought very long and very hard on this decision and rather than duplicating infrastructure and in graphics, media, design, websites and everything that goes into producing something like this, we have decided to simply expand on our pre-existing brand of Beaverworks and create the Beaverworks Mint. This way, we can streamline and optimize everything under one single entity. As we make these subtle changes, the core of our work remains and we are beyond excited about the new chapter we are working towards. Our sample coins produced by our minting partner have shipped and we expect to take delivery of them mid next week at which point we will arrange for a photoshoot to show off our final product and then once our Chief Designer signs off on the quality, then the main run of coins will commence. From there we are looking at a 6-8 week turn around time for delivery of our first batch of coins. We are eternally grateful to all the Canadians who have rallied behind us and we look forward to finally being able to deliver these most beloved and world class coins. The samples were dispatched by UPS Ground due to a miscommunication and will not arrive until the middle of next week. Once they arrive then we will inspect them and then make the call to commence with full production. The relative slowness of this process is a lesson in patience for us as if we want perfection, it takes time. We are also pleased to announce that in light of the immense prospects for expanding our brand to accommodate other service branches, we are going to be re-branding the RCAF Mint into the Beaverworks Mint to fall in line with other works we have worked tirelessly in the past to establish. Beaverworks is the brand built by Joseph Green and thanks to the relationships he has worked hard to establish over the years, this new and exciting step forward in our growth will serve to accommodate a much larger vision and so rather than starting new business operations, build new sites and establish all the comprehensive infrastructure, we are happy to announce everything will be brought in under one umbrella of the Beaverworks Mint. We look forward to the next steps forward and patiently, responsibly and in a consistent, visionary direction, establish our capabilities and products as the finest minted products in the world. THE SAMPLES ARE FINISHED!!! YAY!!! They should arrive this week for our visual inspection and we shall finalize and commence with full production. When we receive the sample bullion rounds, we will post photos! We are so excited! THANK YOU CANADA FOR SUPPORTING THIS DREAM! We have held over closing this first major batch until 4 August at such time we will increase our first major order to accommodate new customers along with getting ahead in the orders. Unfortunately the coin prototypes have been delayed in shipping to us which is understandable given the complex nature of minting bullion rounds of this level. Once we receive any updates, we will make sure to post them here to inform everyone. We will also be re-branding our site soon to accommodate expanding our vision! Stay tuned for this new and exciting chapter. We will be pursuing developing in our next coins the Silver Dart, Hawker Hurricane and the Spitfire to honour the Battle of Britain. Once our first product ships and our customers have them in hand and they can visually inspect our work, then we will open it up to orders and those first 100 customers who purchased an Arrow bullion round, they will have their serial number assured as our gift to them for supporting us. We look forward to receiving the first batch of sample rounds early this month. The wait is killing us, but…we are patient. We will make sure that every single bullion round is absolutely perfect before shipping them on to you all once we receive the first main large order. We very much look forward to the future! Our Samples just completed going through the gold plating stage and are now proceeding onto the full colour printing stage! We are very excited. The moment we receive pictures, we will post them for everyone to see. We have been honoured with so many people expressing support for this project. We have some exciting news about the next steps in our expansion and in light of that, over the next short while, we will be changing our domain name and logo to adapt to this new and exciting chapter in our venture. We want to keep that under wraps for right now, but needless to say we are very excited about it! Our fine silver bullion rounds will certainly be the envy of collectors everywhere. PLEASE NOTE: Our 1 Troy Oz. .9999 Fine Silver rounds are not legal tender, but collectors pieces. We just received this image today of our very first prototype rounds. This is what our fine silver bullion rounds looks like before the select gold plating and full colour printing. These are so beautiful. You can see the 100 tiny squares that represent 100 years of the RCAF and 201 tiny circles on the outside representing RL-201. This process is time consuming but we are making solid progress forward. This RCAF / AVRO Arrow bullion round represents a true labour of love and we hope you come to love it as much as we do. Most silver rounds usually have select gold plate or colour printing and not both and so these works of minted art must travel to various facilities in order for the stamping, plating, printing and edge marking to be completed, but without a doubt, these will be some of the most sought after bullion rounds in the world. We have been contacted by our lovely production mint partner and they have granted us permission to add more orders to the first major run of rounds slated to begin production once we approve the first prototypes. The first prototypes are scheduled to be shipped to us on 31 July for our inspection. Once we approve then all orders for Batch #001, #002 and #003 will be produced. As a start up, we offer a highly specialized product and given how small we are, we have to yield to the time tables of our much larger production partner. We appreciate everyone’s patience and support. We are still on course to meet our production timetable as we stated from the outset of between 90-120 days turn around time from the close of Batch Orders to when customers receive their order. 1 July, 2015. HAPPY CANADA DAY!!!!! Batch Order #002 closes at midnight MST and we are now taking pre-orders on Batch #003. We have received our first shipment of luxury wooden boxes for the premium packaging options. If you were one of the first ones to order a coin, we never had that option available and if you would like to add it to your order, please contact us for details. All orders will be processed at the close of each Batch Order. Once batch orders close, it will take between 90-120 Days before the coin is delivered. Producing world class minted bullion rounds of elite high end quality takes time and we thank you for your patience. We look forward to shipping our very first coin and receiving feedback. Once our first coin ships, then we will proceed with releasing the next coin in our collection. We hope that you all will follow us in our epic journey to honour the history and legacy of the Royal Canadian Air Force. 23 June, 2015. We just got word our first coin samples will be shipped to us for finalized inspection on 31 July, 2015. How exciting!!! 1 June, 2015. Batch 001 closed and processed. Batch 002 has been opened and is accepting orders. 4 June, 2015 – The funds have finally been transferred into our account and we made our first royalty payment to the Royal Canadian Air Force Association. It is our profound honour to assist in their fund raising efforts. Boxes are in production for the standard and premium packaging. We will post any information as it becomes available. The dies for the coin are currently under development and we expect them to be completed in the next week. Once they are, then the next phase of production begins. We are working on translating our website into French as well and so once we have it completed, we will post it.